Bring cheerful pops of color to your workspace or home spring decor. This sweet gardener gnome is holding an itty bitty carrot. This item shipped alone will be processed within 1-2 business days. The purchase of this listing will be shipped VIA Canada Post with tracking. Shipping upgrades are available at checkout. Delivery times vary and we are not responsible for postal delays. 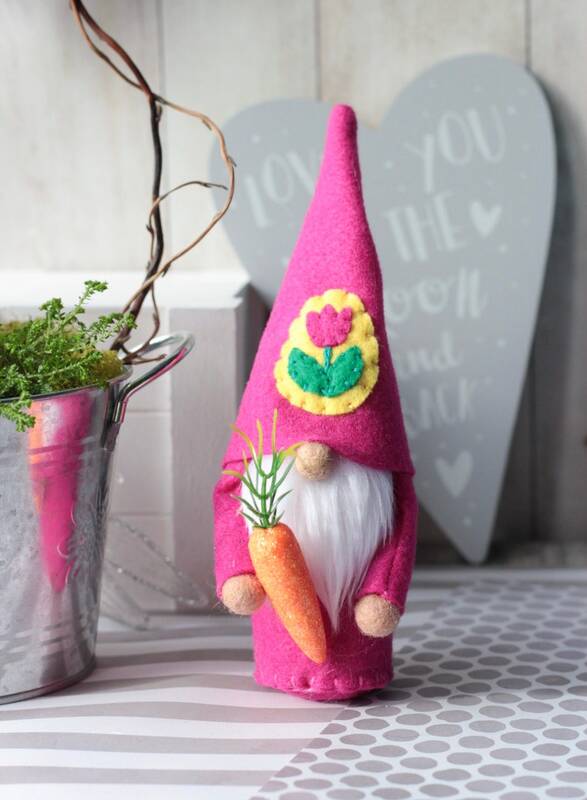 /// We hope that you will adopt this friendly gnome as the perfect edition to your home or office decor that can be enjoyed all year round. 🍄 Every gnome will vary slightly due to the handmade nature making each and everyone unique. 🍄 Please read all shop policies before purchasing. It was a big on my daughter but still a cute bracelet. Thank you! 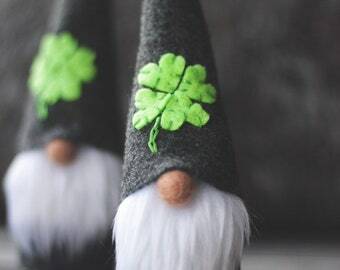 This St Patricks Day gnome is ADORABLE. I gave it as a gift and the recipient loves it so much that she declared she might keep it out all year. It is petite, so don't be surprised by the size. You won be disappointed however.